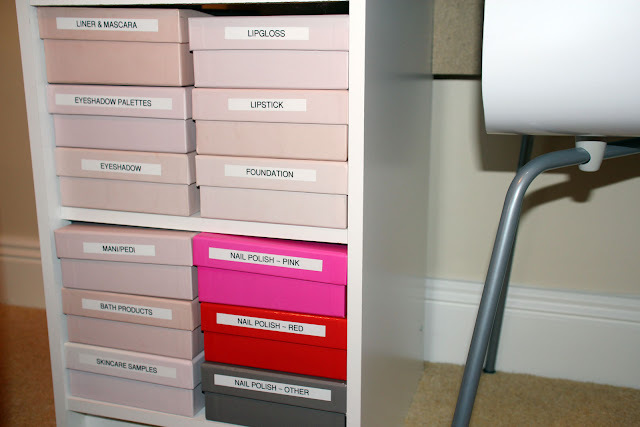 This is how I currently store all of my makeup except for what I wear everyday (that lives in my makeup bag which is usually on the dresser in our bedroom). Everything else is stored in my cupcake room! This most likely will only work if your collection is about the same size as mine...if you have hundreds of lipsticks & blushes then maybe not. 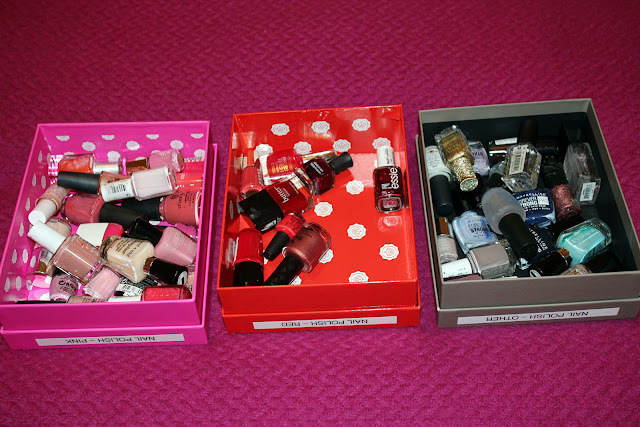 But my collection is relatively small (compared to most beauty vloggers/gurus on YouTube I think!) so this system works well for me! 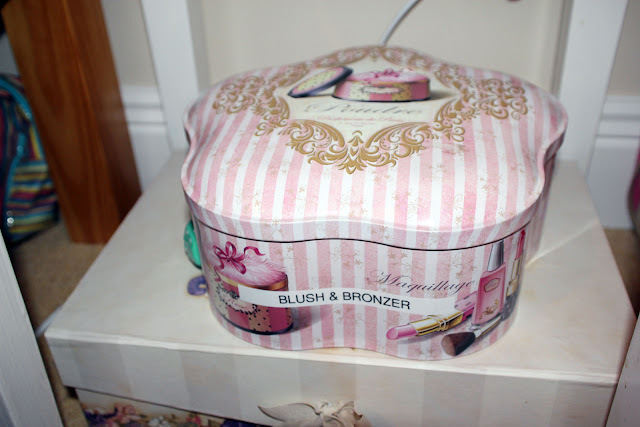 I store my blushes & bronzers in a big tin which I got in our favourite Italian shop, The Boot Specialities about 2 years ago. I think there was a Colomba inside but I loved the tin and it has pictures of makeup on it so it's perfect! Finally, I have one last box that came in a set of three from Meadows & Byrne which I purchased about 3 years ago where I store all of my big eyeshadow palettes. The tin and set of 3 boxes sit under the two end tables at either side of the bed in this room. 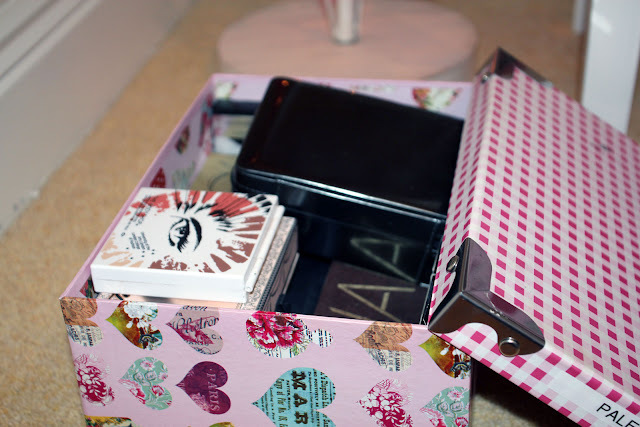 And that is how I store my makeup! 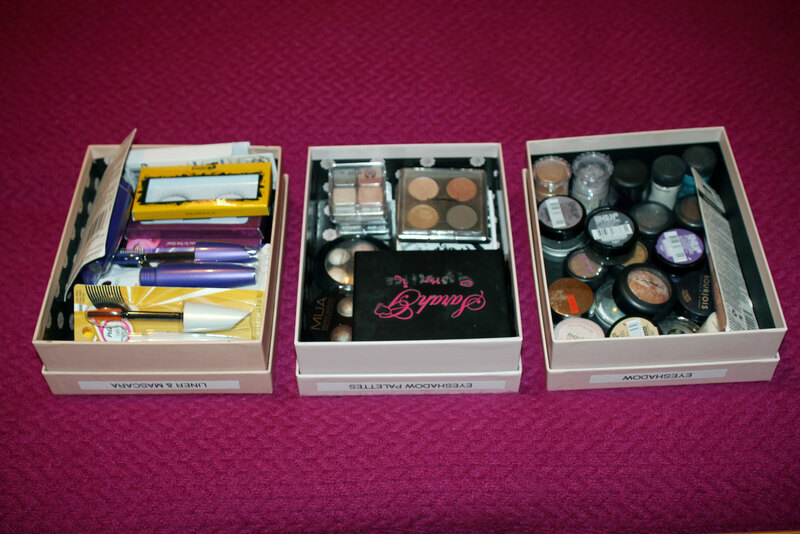 You can also watch the video on my makeup collection and storage here! I understand that putting things into boxes like this may not be as practical for everybody especially if you reach for different items a lot more often than I do (I tend to use the same products everyday). 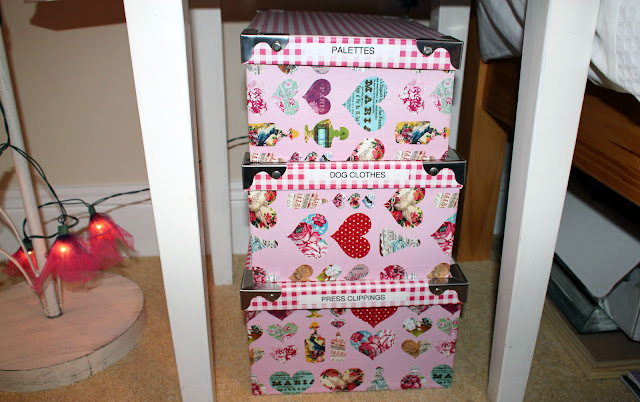 But for now I really like this storage system as I find it to be budget-friendly, a good use of Glossyboxes and I love how everything has its own place. Let me know what you think! And if you subscribe to Glossybox, what do you use your old boxes for? 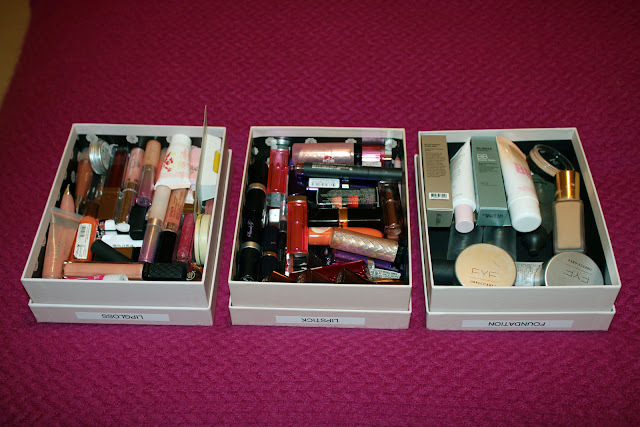 Same, I use all my old glossy boxes to store all my beauty supplies! Most of which I haven't even used yet! I have told myself I'm not buying anymore until its all used up. My makeup system is the same also. I love it. And knowing everything has its place. 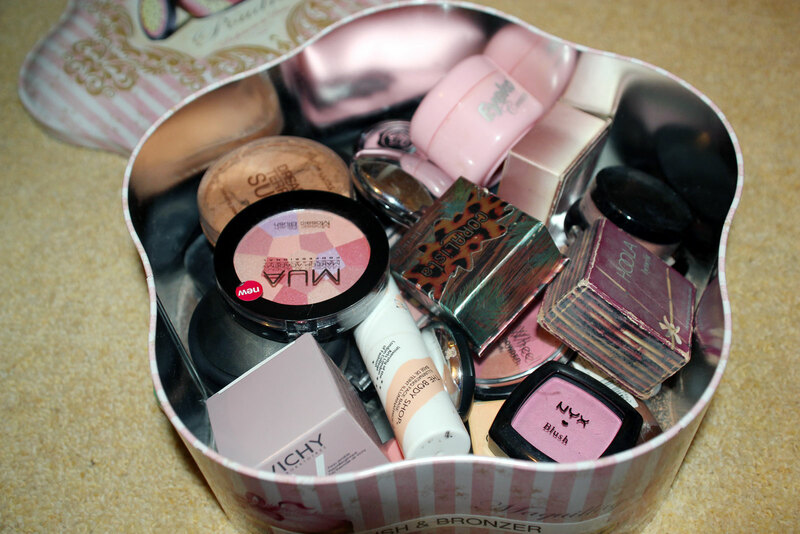 I also have face creams and eye creams together, face masks, body cream and scrubs together, not all of them fit but for the most part, the glossy boxes come in handy.